Your garden is your private hide-away; that perfect place right outside your door to relax and enjoy the great outdoors. Need help deciding what elements to include in your garden? A water garden, hardscapes, exterior lighting, are familiar favorites that evoke fond memories, is the first step in making your garden truly your own. New Jersey Landscapers will help you realize your perfect garden, so you can enjoy it for years to come. Working with a designer that has a vast knowledge and experience of landscape design ensures that you get what you want within the budget you are working with. It is very easy to misjudge the amount of money a certain detail within your design may cost. Whether your needs are landscaping, hardscapes, lighting, irrigation, fencing or decks; we provide services from start to finish. You will work one on one with a trained industry professional to cast the vision for your dream landscape to fit a budget of any size. 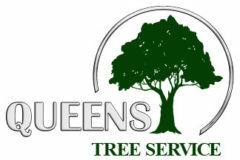 Queens NY Landscapers services private residences, meeting the needs of discerning homeowners who demand the quality and close attention for which we are known. We handle all size projects. No project is too big or too small. Contact us today!